Home » Featured » News & Updates » Steve Aoki is Coming Back to the Beach Bash! Steve Aoki is Coming Back to the Beach Bash! Top DJ and entertainment extraordinaire Steve Aoki is coming back to Panama City Beach to perform live on the biggest stage at the Beach Bash Music Fest at Sharky’s Beach Club on March 15. It’ll be his second visit in three years. In 2014, Aoki performed to a massive crowd on the beach, breaking the record for the largest ticketed concert event on Spring Break in Panama City Beach. Country Music Star Brett Eldredge to Perform Live on March 16! 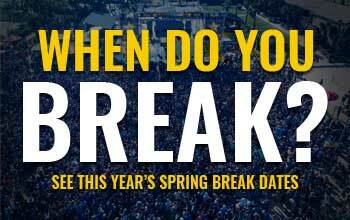 The world renowned and Grammy Award nominated EDM performer will headline day one of what will be ‘Spring Break’s biggest two day event of the year. The concert will feature multiple opening acts (soon to be announced) beginning at 11AM. Tickets for this event can be purchased by logging onto the official website of the Beach Bash Music Fest at www.beachbashmusicfest.com/tickets. There are only a limited amount of tickets available, and this event will surely sell out. Ensure you have a ticket by purchasing one online in advance!